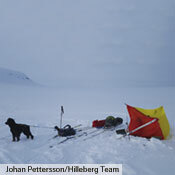 A simple, lightweight, particularly versatile shelter “multi-tool” that belongs in every adventurer’s pack. 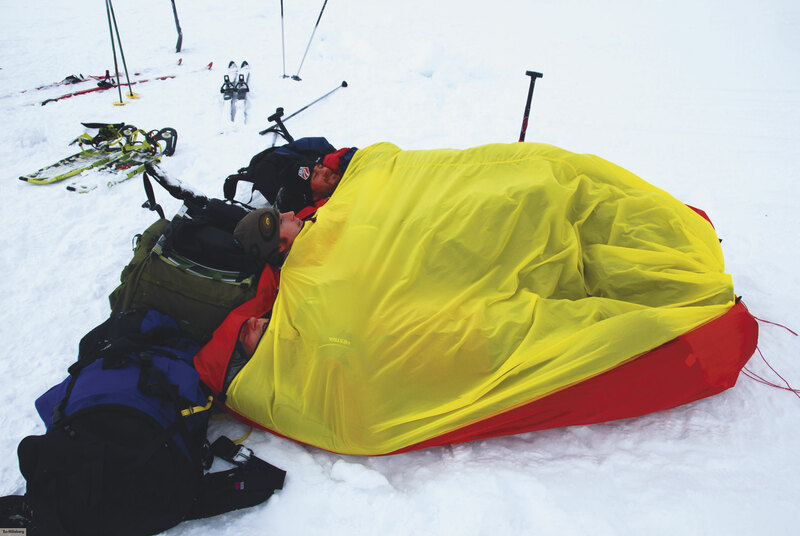 Our Windsack was originally conceived as an emergency bivy bag, but it has proven itself perhaps even more useful as a portable, temporary refuge from inclement conditions during ski tours or other winter adventures. Available in a 2- and a 3-person version, the Windsack has a highly breathable and water repellent front, and a fully waterproof, silicone-coated nylon back. 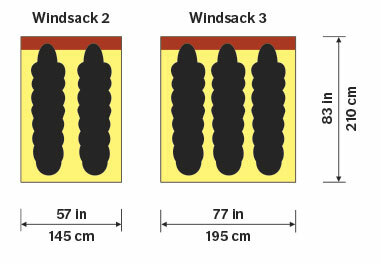 For a quick shelter, use the Windsack’s corner loops to rig a windbreak. 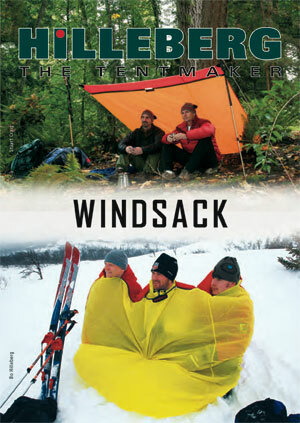 For more shelter, simply deploy the Windsack, climb in and hunker down out of the elements. 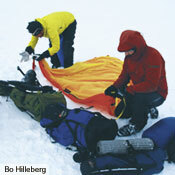 Ideally, you should dig out a dedicated spot in the snow or find a place that has some protection from the wind. 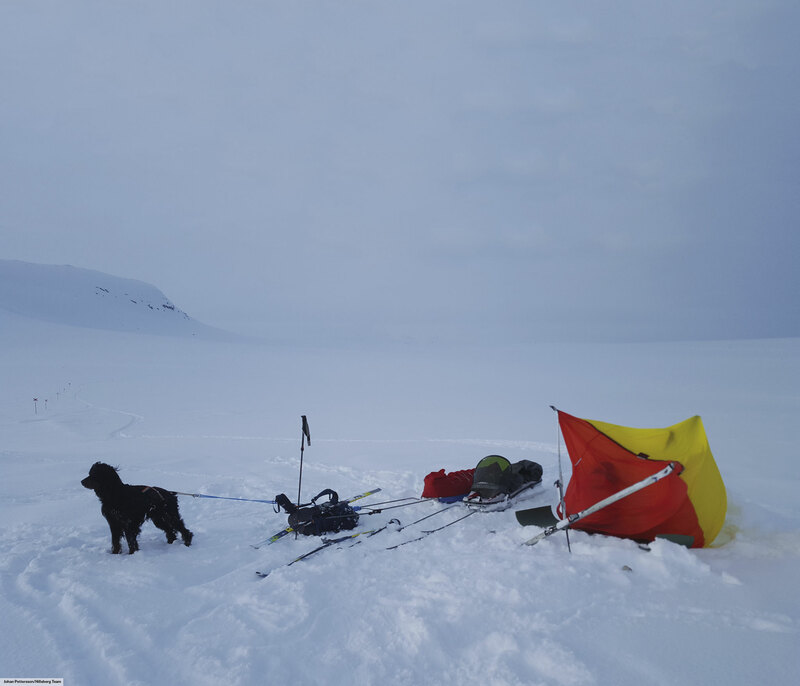 But once inside, you can enjoy a snack or a rest break, change clothes, even deal with equipment issues or administer minor first aid. 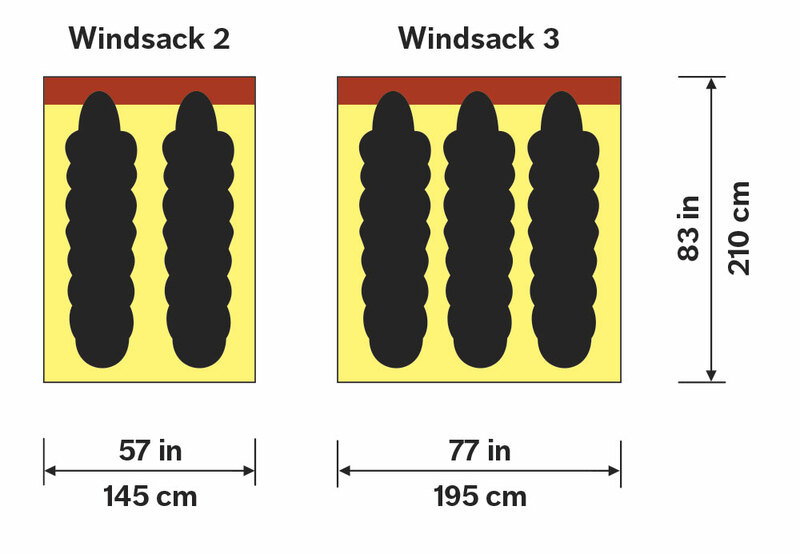 The Windsack’s waterproof back/breathable front configuration, multi-slider zipper, and closable bottom hem also make the Windsack useful as a sleeping bag cover for tarp camping. 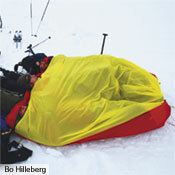 As an emergency bivy bag, the Windsack will accommodate up to three occupants plus sleeping pads and sleeping bags. 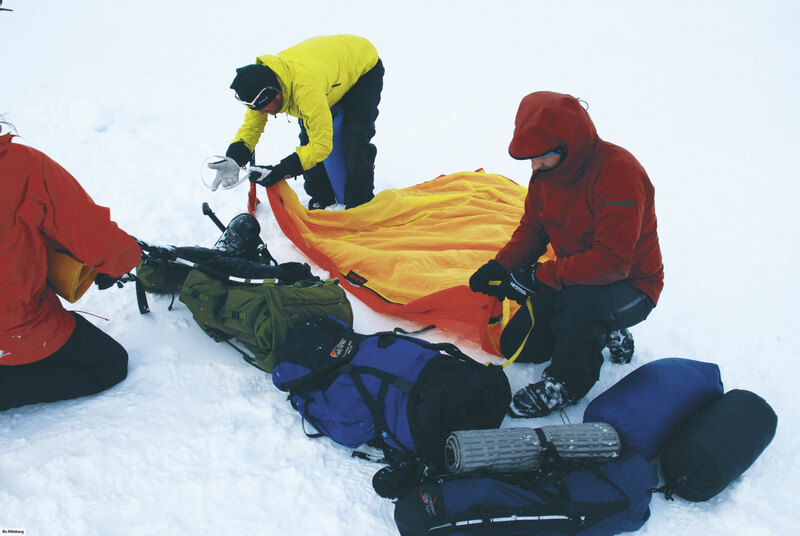 An integrated safety line prevents the Windsack from blowing away in strong winds while you’re getting into or out of it, and four corner loops let you anchor it in exposed terrain. The zipper at its head has four sliders for making either head “holes” or venting ports, and a drawcord in the bottom lets you cinch the Windsack around the occupant’s feet. 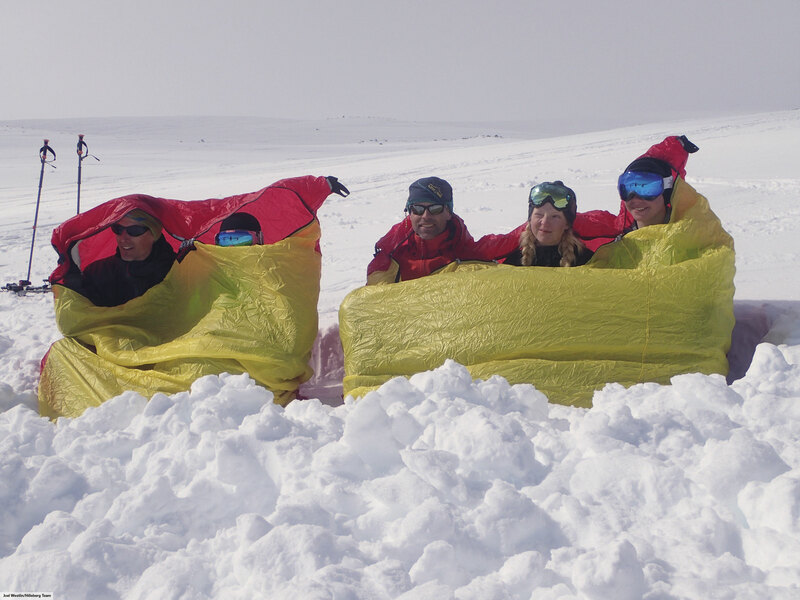 Its waterproof back and breathable front make it a good choice for use in snow caves, and it can also be staked out, red side up, as a rescue panel to signal for help from the air, or it can be rigged as an improvised tarp. 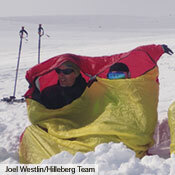 In Sweden, some sort of “windsack” has long been considered indispensable for winter ski tours. 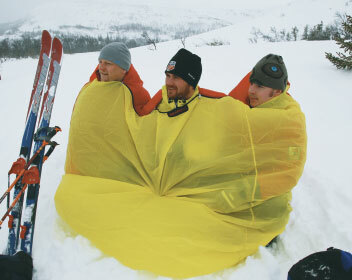 Originally, a Swedish windsack was a kind of modified, narrow ridge tent without a floor, constructed to be set up between two skis and designed as an emergency shelter. 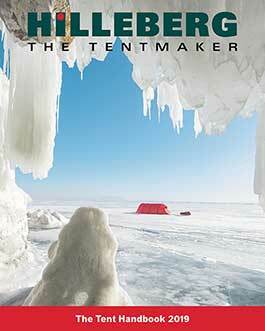 In the late 1970s, after finding that traditional windsacks proved inadequate in many situations, Bo Hilleberg created the first Hilleberg Windsack, inspired by the simple climber’s bivy bags used in the Alps. Over the years, we have constantly updated the design. A few years ago, we took advantage of the very lightweight silicone-coated nylon now available to build our current Windsack with full waterproof back and breathable front, similar to Bo’s original, but in a much lighter package.